First on the show is the new IBF super middleweight champion, Caleb Truax. 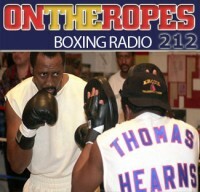 I get Caleb’s thoughts on his upset win over James DeGale and talk to him about overcoming odds as high as 100-1 to win on the judge’s scorecards. Truax also talks about what it felt like to be announced as the new champion and shares his views on giving DeGale a rematch. Additionally, Caleb Truax discusses his future at super middleweight and if he has interest in a rematch with Daniel Jacobs. 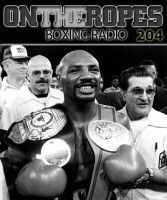 The second guest on this weeks edition is Hall of Fame boxing commentator, Al Bernstein, who is entering his 15th year with Showtime. 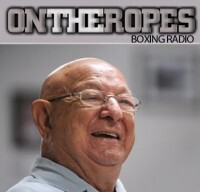 Bernstein shares his thoughts on Vasil Lomachenko’s recent dominate win over Guillermo Rigondeaux and breaks down a potential Lomachenko vs Garcia bout. Additionally, Al also talks about a Deontay Wilder vs. Luis Ortiz bout and speaks on the upcoming 2018 boxing year. 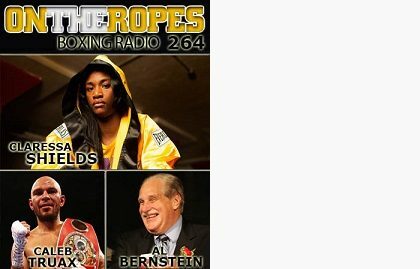 The final guest of this week show is 2 time Gold medalist and reigning WBC & IBF super middleweight women’s champion, Claressa Sheilds, who will be defending her belts January 12th against Tori Nelson. Sheilds talks about her rise in the sport and what fighters she would like to face in the future. In closing, Claressa shares her thoughts on sparring Chris Cyborg and talks about some of the male fighters she respects in the sport. 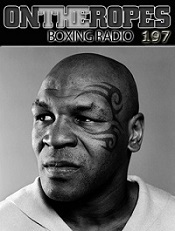 1 Response to "Claressa Shields discusses her next fight & sparring Chris Cyborg. Caleb Truax on his DeGale upset win. Al Bernstein talks about Wilder vs. Joshua & more. 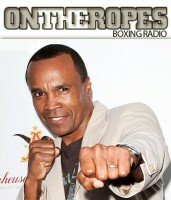 OTR #264"
Shields is the only reason I watch womens boxing. I hope she keeps winning and keeps making america proud.